For the 3rd year Sam and Willy's, a local boutique pet store, located at 3405 N. Paulina is sponsoring our little red cart! 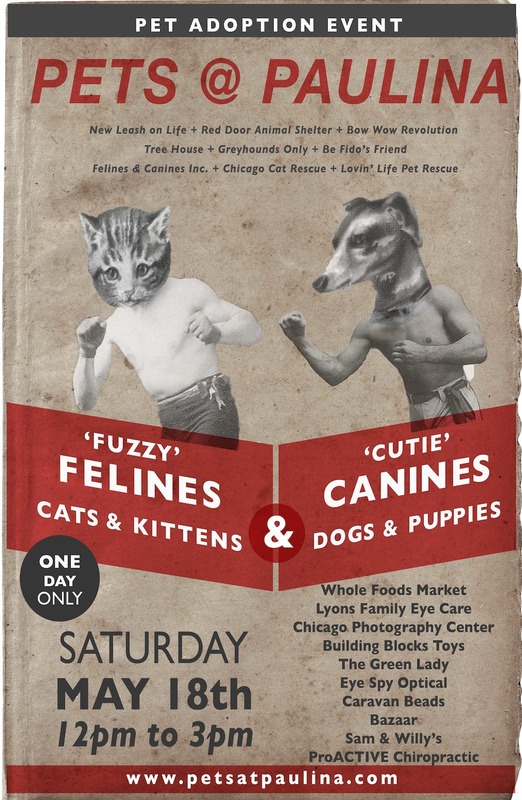 Pets at Paulina, taking place on Saturday, May 18th, gathers local merchants to help Chicagoland cats and dogs find new homes. We love to help up our local pups(and cats) in need! We will have our cart stocked with awesome dog ice cream and treats perfect to pick up after you adopt a new best friend. Drop by Paulina and Roscoe to meet some new furry friends! (and get some dog treats)!